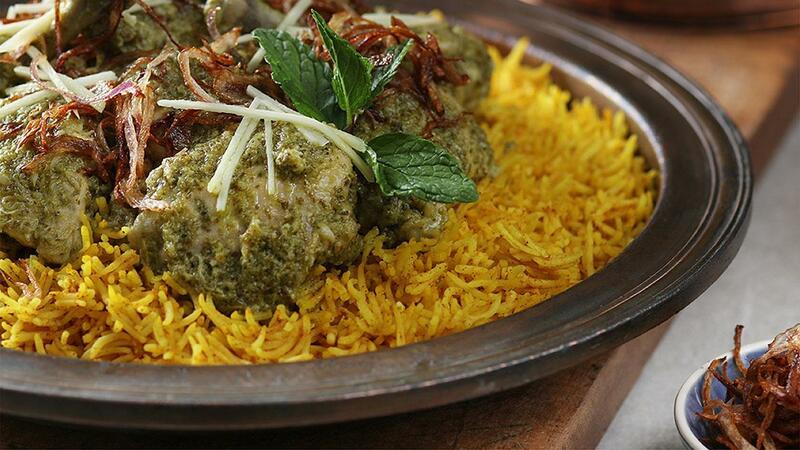 Green is the colour of nature and many guests regard green colour dishes to be healthier. The truth is they are. Herbs strengthen the immune system, lower blood sugar and cholesterol levels. This marinade has a vibrant green colour served with beautiful yellow turmeric rice. Download recipe toady! Wash and place ingredients into a blender, blend until smooth and check seasoning. Cut the whole chickens into 12 or 8 pieces each chicken. Marinate for no less than 12 hours. Add spices and cook or steam rice for about 15 minutes until fragrant. Garnish with onions and ginger.